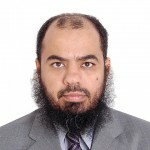 Dr. Khalid Mohammad Al Aboud is currently the medical director and a consultant dermatologist at the King Faisal Hospital, Makkah, Saudi Arabia. He was born and raised in Makkah. He joined the medical college in King Abdul-Aziz in Jeddah, where he graduated with an MBBS degree in 1993. In 1999, he passed the Arab board examination after having spent 4 years training in Assir Central Hospital, Abha, Saudi Arabia. He also passed the Saudi and Jordanian dermatology boards and is active in many dermatological societies. He has authored or co-authored more than 50 publications in dermatology. 3)Tropical dermatological diseases such as leishmaniasis and leprosy.